The Additive Manufacturing Users Group (AMUG) today announced its lineup of keynote speakers for the 2019 AMUG Conference, from March 31 – April 4, 2019. 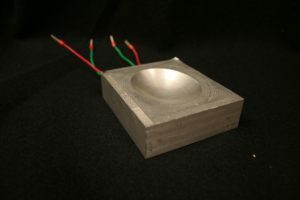 These speakers will address 3D Printing from experiences that crawl at a fraction of an inch per minute to those running at 200 miles per hour. Although the applications are vastly different, each keynote speaker will enthuse and inform the audience. We are extremely excited about our 2019 AMUG Conference keynote speakers. They will provide a snapshot of the most transformative ideas shaping the AM industry today,…”. Brad Keselowski will be the keynote speaker on Tuesday, April 2, with a presentation titled Winning the Manufacturing Race. He is a full-time driver in the NASCAR Monster Energy Cup Series. As a championship driver across two racing series, Keselowski understands the important role manufacturing plays across multiple industries, including motorsports and automotive. That understanding, coupled with his passion for technological innovations, led him to build KAM. In his keynote, he will share his experiences where technology, like 3D printing, can help companies win the race and its impact not only within automotive but across multiple sectors. On Thursday, April 4, Brian McLean will treat AMUG attendees to a visual journey showing how additive manufacturing has helped redefine stop-motion animation. His presentation, The Art and Science behind LAIKA’s Oscar® Award Winning 3D Printing Process, will explore over a decade of creative and technical developments and groundbreaking animation. LAIKA is world renowned for its stunning films such as Coraline, ParaNorman, The Boxtrolls, and KUBO and the Two Strings. The studio’s newest film, Missing Link will be in theaters April 12, 2019. McLean has been at the heart of LAIKA’s work that fuses the age-old art form of stop-motion the with cutting-edge, 21st-century technology of 3D printing. He has received a Scientific and Engineering Oscar® plaque for pioneering the use of AM in stop-motion animation and an Academy Award® nomination for Outstanding Visual Effects for his contributions to Kubo and the Two Strings. Designed for both novice and experienced additive manufacturing users, the AMUG Conference agenda topics range from technology basics to advanced applications to business considerations. The conference will have nearly 200 presentations, workshops and hands-on training sessions. A preliminary agenda is available at www.amug.com/conference-agenda-planner/. The AMUG Conference will be held March 31 – April 4, 2019, at the Hilton Chicago in Chicago, Illinois. Conference details and registration are available at www.amug.com.